In January, Washington declared a state of emergency — not because of natural disaster, economic crisis or terrorism, but because of measles. With a measles vaccine developed in 1963, the Centers for Disease Control and Prevention (CDC) declared the virus eliminated from the U.S. in 2000. In 2017, however, the CDC reported 18 measles outbreaks across the country. Measles is highly contagious and can live in a room for two hours after an infected person coughs or sneezes, according to the CDC. The vaccine for it is 93 percent effective. While 7 percent remain unprotected due to improper vaccination, the large population of vaccinated individuals keeps the vulnerable people safe. But over the course of 17 years, the number of unvaccinated children under 2 has quadrupled, according to federal health data. In 2015, 1.3 percent of children ages 19-35 months had not received their recommended vaccinations, according to the CDC, compared with 0.3 percent in 2001. This leaves children — both vaccinated and unvaccinated — susceptible to preventable diseases, such as measles and whooping cough, which is also highly contagious, especially in school environments. Head of high school Brooke Wells said the Washington measles outbreak sparked a conversation among California schools to ensure that all students are vaccinated and have proper documentation of required immunizations. As a result, the school completed an audit of its immunization records in February. Assistant to the head of high school Valerie Velo subsequently sent out warning emails on Feb. 27 to the parents of students with missing records, vaccinations or boosters. In a March 7 poll of 117 high school students, 24 reported that their family had received the email from Velo. Over 50 percent of the students who received that email were international students. These students had either not turned in their records or were missing certain boosters or particular shots. 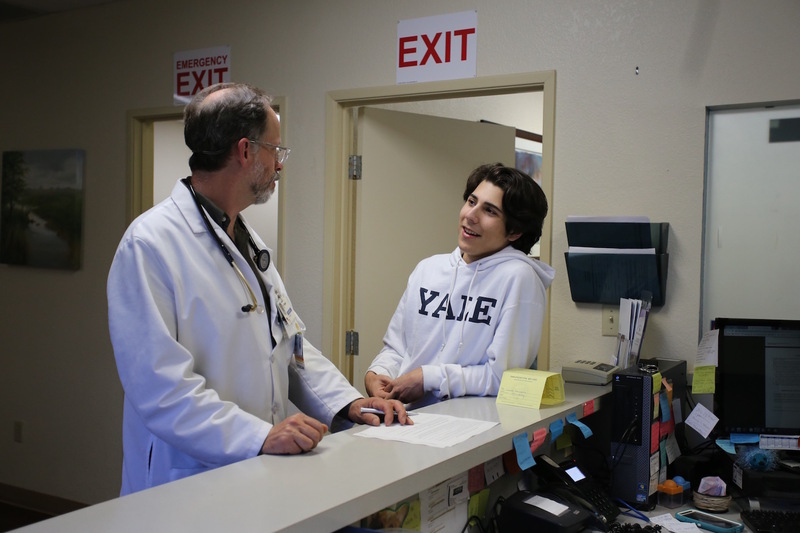 While international students do need updated immunization records when they enter the U.S., federal requirements are slightly different than those for California public and private schools, which is why so many international students were affected. Wells said state law requires Country Day to give a 30-day notice to families to get the necessary immunizations and records. However, Wells noted that students may also provide the school with a plan to receive immunizations, as the school recognizes that 30 days could be insufficient. The recent audit is also a result of Senate Bill (SB) 277, signed by former Gov. Jerry Brown in 2015. This law, which went into effect on Jan. 1, 2016, outlaws personal and religious belief exemptions for required vaccines in public and private schools across California. SB 277 was prompted by an outbreak of measles due to unvaccinated children at Disneyland in 2014, resulting in 125 cases of the disease spanning state lines. California, Mississippi and West Virginia are the only three states allowing only medical exemptions from vaccinations. Forty-seven other states allow religious exemptions, and 17 of those states also allow philosophical exemptions for personal, moral or other beliefs. Because of this leniency, a median 2.2 percent of kindergarten children nationwide claim exemptions to vaccination, according to a Feb. 21 Washington Post article. California schools are required to request vaccination records for students entering kindergarten and seventh grade. Current students in eighth grade or higher are not required to be vaccinated if they had a personal or religious belief exemption before SB 277 was passed — one reason the high school is only now auditing records. By seventh grade, children are required to be vaccinated for 10 diseases: tetanus, diphtheria and pertussis (Tdap); haemophilus influenzae type B; measles, mumps and rubella (MMR); poliomyelitis; hepatitis B; and varicella (chickenpox, VZV). Even the University of California system updated its vaccination policy on Nov. 15, 2016, requiring the MMR, VZV and Tdap vaccinations for all incoming students, in addition to the meningococcal conjugate (meningitis) vaccine and a tuberculosis screening questionnaire. A vaccine is typically an extremely weak or a heat-killed version of the specific pathogen. Senior Jacqueline Chao was one student whose family received an email from Velo. Chao was missing both her immunization record and the Tdap booster. For Chao, this wasn’t a problem, as when she came to the U.S. from China, she received all her vaccinations and kept her records. Her host family recently took her to get the required booster as well. For senior Mehdi Lacombe, however, the new law caused a problem. Lacombe, like Chao, said the school sent multiple emails to his mother about the missing records and recently called her to inform her that if his immunization record was not turned in within 30 days, Lacombe would not be able to continue attending Country Day. After finding his immunization record, Lacombe went to his local doctor to ensure he had all the required vaccinations. Even though Lacombe had all the required vaccinations, his doctor couldn’t verify if he had received the correct dosages. “Apparently, different countries have different doses of vaccines,” Lacombe said. “So while one country might give one vaccine in two doses, another might give it in four. In one sitting, Lacombe received the polio, Tdap, hepatitis A and B, VZV and HPV vaccines, which caused him to get lightheaded. Despite the trouble, Lacombe said he still believes in a zero-tolerance policy for anti-vaccination. Ninety-seven percent of students in the March 7 poll agreed with Lacombe, while 3 percent did not answer whether they believed in vaccinations. In that poll, 84 percent of students reported being fully vaccinated, 3 percent were not and 13 percent did not know. “Children come in such close contact with each other while eating and playing that if a child is infected with some sort of pathogen, it could spread from child to child or family to family very quickly,” she said. As of Jan. 28, 25 of the 35 confirmed cases in the Washington measles outbreak were children under 10, with only one adult case being reported, according to an NPR article. Vaccinations are as close to a cure as possible, Whited said. Nationwide, an extremely small percentage of students claim religious or medical exemptions from vaccination. The largest percentage of exemptions is for personal beliefs. One rumor that has plagued the country in recent years is that vaccines can cause autism spectrum disorders in children. “It has been definitively proven that vaccines do not cause autism,” Whited said. Whited added that the doctor who published a paper asserting vaccines cause autism, Andrew Wakefield, had his medical license revoked. Whited attributed the subsequent trend of misinformation to social media and word of mouth. “Trendy topics like this tend to spread very quickly because it’s interesting and shocking, and many people do not take the time to do their research and check the validity of the claims before spreading it to someone else,” she said. Fifteen percent of the polled students reported knowing a family member or friend who does not believe in vaccinations and/or believes that vaccines cause side effects such as autism. Two high school students declined to be quoted about their anti-vaccination viewpoints and those of their family. Facebook has reportedly played a large part in spreading false information about vaccinations, with the company only recently announcing its steps to reduce the distribution of health-related misinformation. A parent herself, Whited stressed the importance of vaccinations in preventing life-threatening diseases. “It is our duty as parents to protect our children,” she said.